Hi! We are Edmundo and Gabriela (father & daughter) we own Bellavista Property a family home located in the village downtown, two blocks away from the supermarket and six blocks from the bus station. From our house you will see the mountains and fjords. The Hostal has a capacity to accommodate comfortable 16 people in: 3 double or twin, 2 triple bedroom and 2 matrimonial room, with two bathroom on the first floor and two more on the second floor. In our big living room you can enjoy staying inside, with Internet wi-fi, cable TV and DVD player (we might have some old VHS too). We offer bike and outdoor equipment rental too. Also, we sell bus tickets to Torres del Paine. Are you coming back from a big trip? use our laundry service. If you prefer to use your chef skills the kitchen use is free. Don't worry about breakfast, because is included. In our backyard we have many fruit trees, bushes, plants and flowers typical from our region. Bring your own car? We have a parking space, but, if you want to travel by bus we offer advice on organized tours and transportation, also some discounts, to the main attractions of Patagonian as: Torres del Paine ('W' & 'O' Circuit), El Calafate, Perito Moreno, Pingüineras, Punta Arenas, Ushuaia, etc. 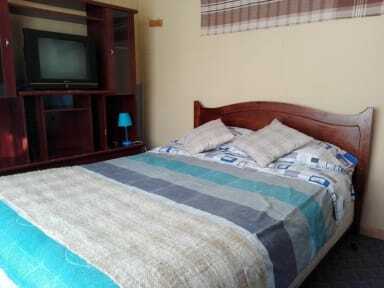 Our experienced guide services and rental equipment are at your service to make you enjoy the adventure of Patagonia. - Our services start at 06 am until 10 pm, but at night we have support service. 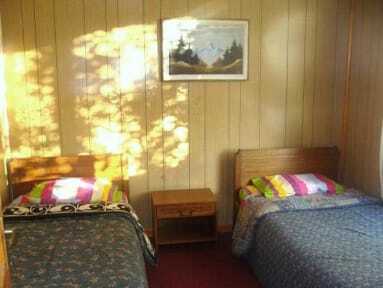 - The building and rooms are non smoking, but the garden and front yard can be used for that. - Luggage storage is available for free.